Black cuervo's broken into the museum to steal some precious works of art. You must decide whether to stop her or steal them first. Will you be Good or Evil? Activate the security system before Black Cuervo gets the loot. The arrow on the El Tigre icon points towards every security device. If El Tigre reaches the good icon, he'll be invincible to guards. If you want to play The Good the Bad and El Tigre games online you have come to the right place! 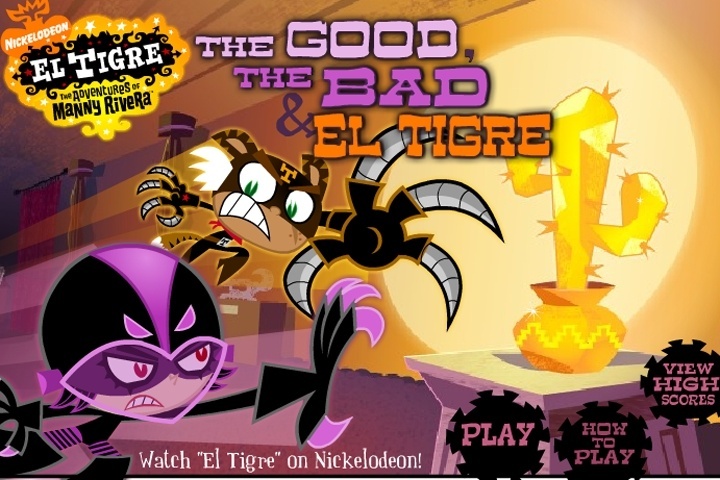 GamesLoon adds new The Good the Bad and El Tigre games every week. This is your game portal where you can find the biggest collection of free The Good the Bad and El Tigre games online. Do not forget to rate our The Good the Bad and El Tigre free online games while playing!